Two years after launching, Vita Hong Kong style Milk Tea has built its brand around some of the city’s iconic symbols. But, there is still a huge opportunity for the brand go even further. DDB Group Hong Kong has developed a campaign which celebrates the drink’s reputation as a much-loved Hong Kong icon. Capturing Hong Kongers’ strong sense of belonging and intimacy derived from their hometown, the idea digs out the most iconic Hong Kong spots and describes them in a colloquial and quirky way. The campaign also comprises ads on social media, moving trucks and In-store point of sales to spread the message far and wide throughout Hong Kong. 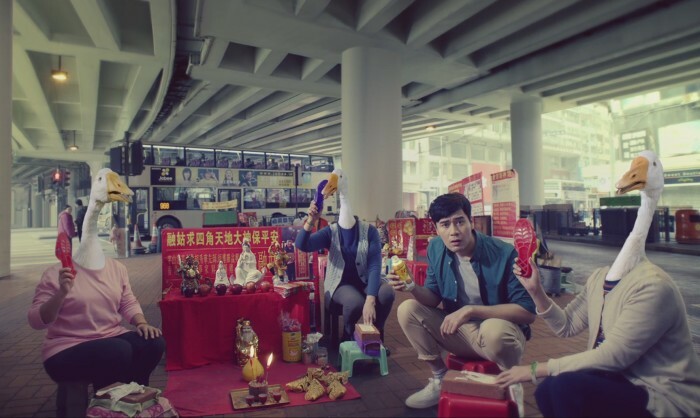 The campaign follows on from Vita Milk Tea launch campaign in 2014, which illustrated that Vita Hong Kong style milk tea is a part of all Hong Kong people by focusing on colloquial Hong Kong conversations. Weber Shandwick celebrates its 9th annual Night at the Races with fortune tellers, cartoonists, photo booths and a lot of horse ra.. According to sources, the agency is handling its creative and digital duties. ..
Hong Kong's very own CMRS Group - which includes CMRS Digital Solutions, Beyond Digital Solutions and production house Visualution..